You want fifteen hundred bucks? Well, BMW is teaming with a utility company in California to hand you that coin if you let them manage how your car gets those precious electrons from the power grid. Oh, and there might be Chuck E Cheese’s involved. 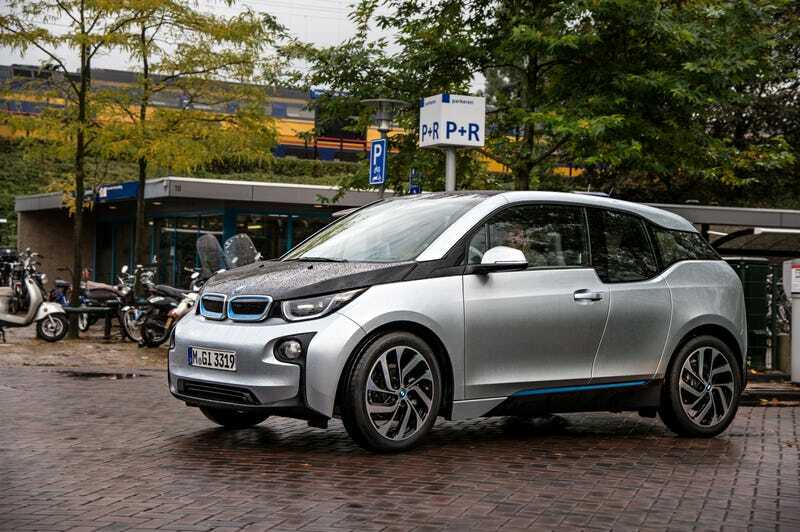 BMW and their partner Pacific Gas & Electric Company in San Francisco are conducting an 18 month trial where they pay 100 BMW i3 owners 1500 smackers worth of gift cards if they just stop charging their cars from the grid at certain times. The idea is to provide relief to the grid during periods of high energy demand. BMW doesn’t say what kind of gift cards they’re handing out, but it’s almost definitely Chuck E Cheese’s, the Preferred Premier Dining Experience Of BMW Drivers Everywhere That I Just Made Up. BMW says there are over 56,000 electric vehicles in Pacific Gas & Electric’s service territory in California. That’s more EVs than are found in any other electric service territory on earth. That’s a lot of vehicles that can really strain the power grid, especially during times of peak demand (around 5:30 PM on an extremely hot day, for example). BMW i will have the ability to manage the at-home charging of participating BMW i3 vehicles, delaying the charging of some vehicles by up to one hour based on signals provided by PG&E while always prioritizing the expressed mobility preferences communicated by the BMW i3 owners. Thank heaven for the last bit, as at least they won’t stop you from driving your car at all. The program, called i ChargeForward, starts this month and goes on through December of 2016.